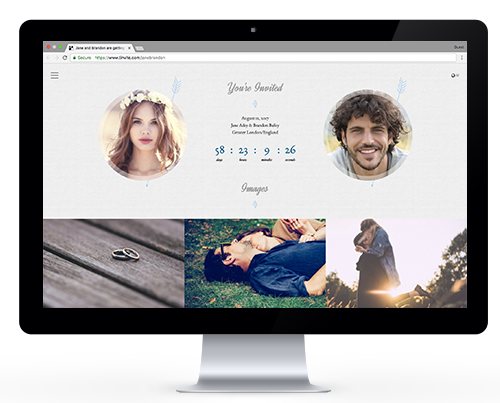 Create your website for your wedding or engagement in 3 minutes. Enter information about your wedding (place and date etc). Upload photos from your computer or mobile phone. Share your website link and invite your loved ones. Share your website link with your loved ones. 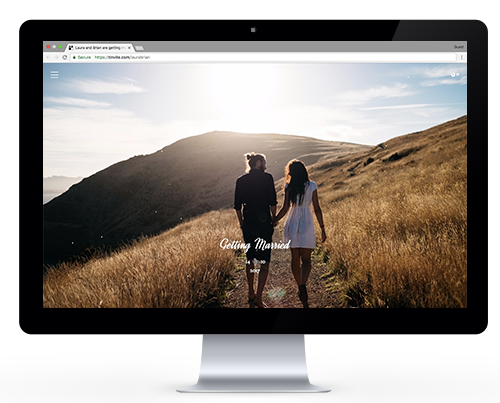 Invite your guests easily with your website. Save your money and time. Make difference with your stylish website. 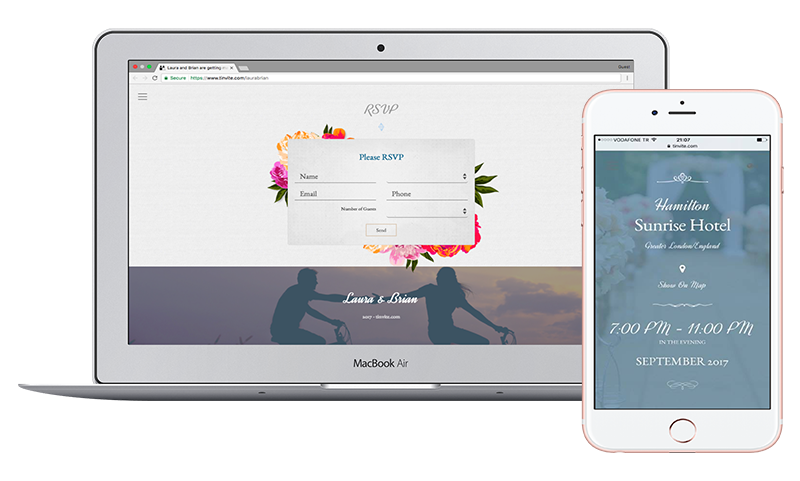 Now it is very easy to follow your guests' RSVPs with tinvite wedding website. Your guests can easily respond to your invitation via RSVP section. You can also see the list of guests who will attend the wedding on your website. The guest list is only accessible to you. Share your pictures, your story, your organization in your website. You can easily upload your pictures and share information of your besties. The website are bilingual (Turkish and English languages). You can share the Google Maps' url of the organization place. Your website can be easily accessed any time via mobile phone and computer. Your guests can easily respond your invitation via RSVP Feature. Also, RSVP Feature enables you to track the attendance status of your guests. You can share any song you love within your website. 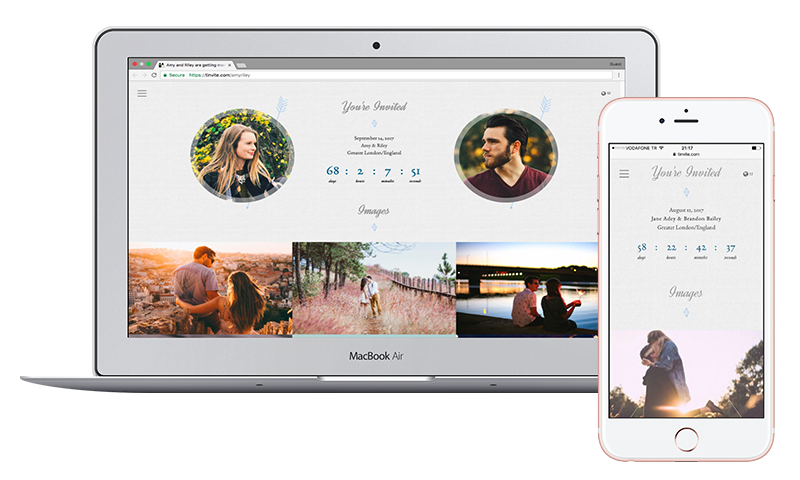 Are you excited for your wedding website? You can design your website for free and share your website link with your loved ones. Please contact us to extend website validity period. How can I invite my guests? Once you have created your website, you will have a unique link. You can share this link in an unlimited number of channels (Facebook, Twitter, WhatsApp, Email, etc.). Can I unpublish my website whenever I want? From the management panel, you can unpublish your website or re-publish your website that was unpublished. How can I add a music? You can add a Youtube or SoundCloud link. Can I remove the RSVP feature? You can remove the RSVP part from the management panel. You can communicate via “Help” button at the bottom right corner.